KINGSTOWN - An earthquake with a magnitude of 4.1 rattled several Caribbean islands this morning, but there were no immediate reports of injuries or damage. 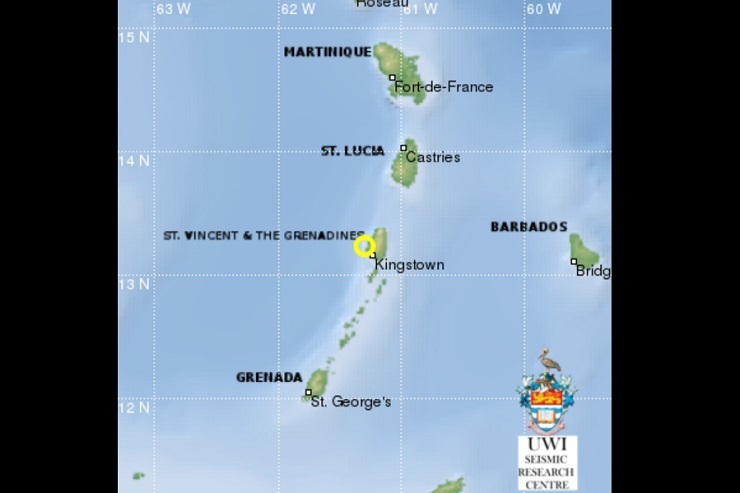 The Trinidad-based Seismic Research Centre (SRC) of the St Augustine campus of the University of the West Indies (UWI) reported that the quake was felt in St Vincent and the Grenadines, St Lucia and Grenada. It occurred at 8:08 a.m. and the epicenter was located 11 km north west of Kingstown, St Vincent and the Grenadines; 95 km south west Castries, St Lucia; and 140 km north east of St George’s, Grenada. The preliminary depth was 107 km.